for home wins with a 57-48 victory over Penn State. hands of Ohio State on Feb. 21. From DeAngelo Russell of the Brooklyn Nets to Andre Drummond of the Detroit Pistons, superstars all across the NBA are getting their first taste of a premier clothing brand in Oak Park. 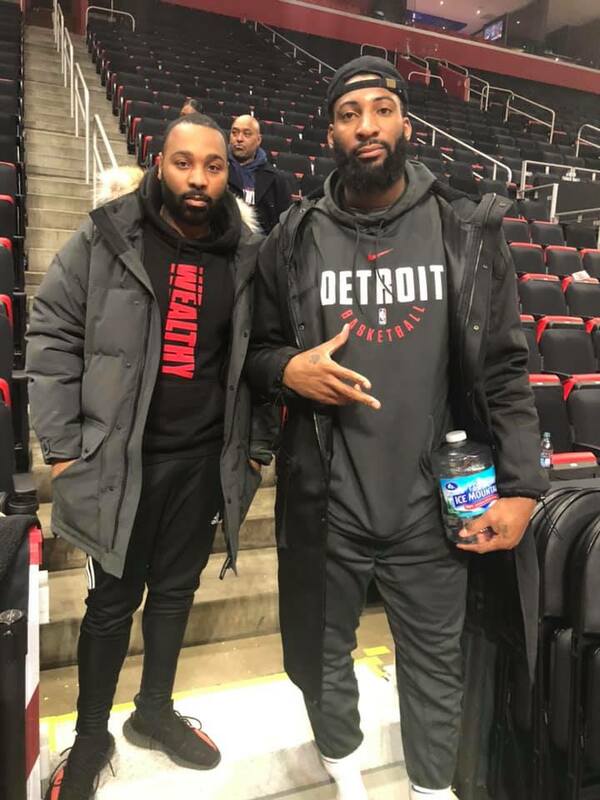 Throughout social media, you see numerous NBA stars wearing hoodies, sweatshirts and t-shirts with the Wealthy logo engraved in a vertical pattern. The Saginaw native even made his presence felt at the 2019 NBA All-Star game in Charlotte as he took photos with numerous stars and the cheer team of the Charlotte Hornets. Saginaw native Kuddles Hopkins implemented a crafty way to instill a principle into a clothing line. Wanting a legacy to pass onto his sons and to teach others about economics, he made “Wealthy” a clothing brand with style and a constant subliminal statement. “You can’t leave a job to your children,” Hopkins said. “So I created something for my children that they will inherit once I am gone. After a two-year presence online, Hopkins and his business partner Rashad Hosey opened up their storefront in Oak Park. The Wealthy Brand is located on 8126 W. Nine Mile Road. “It actually started as Mentally Wealthy,” Hopkins said, but we strategically wanted our following to strictly focus on wealth. As a student at Saginaw Valley State University, Hopkins was introduced to the entertainment scene as a promoter for exclusive club parties. With successful turnouts, it was etched in his mind that he will become an employee as long as he can work for himself. Most entrepreneurs are recognized by their clients and fans while Hopkins’ leadership was acknowledge by a State Representative—Jewel Jones of Inkster. Media stations such as Fox 2 and Channel 7 have inquired about the unique brand. Making waves in the NBA has been monumental for Hopkins, but he has one thing that he’s looking forward to come August 3—become a husband. Hopkins will be marrying his college sweetheart Charkyra Brooks, who has been very supportive as the clothing brand has taken off. For more information, visit www.thewealthybrand.com.